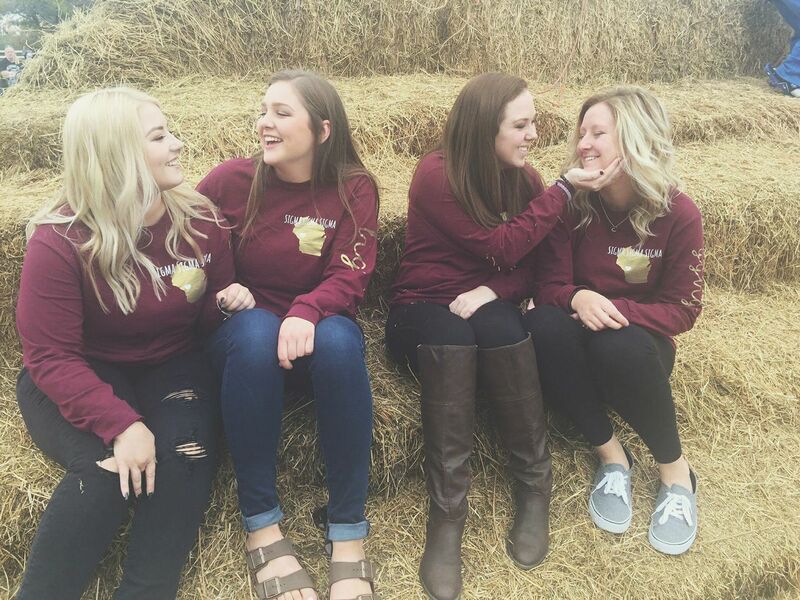 Our members love spending time together, and often choose to hangout together outside of chapter events. 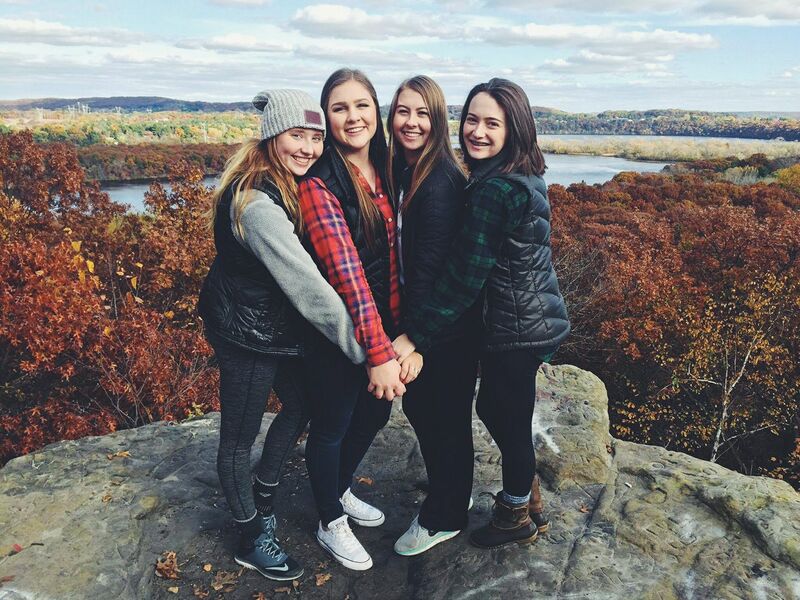 Throughout the semester, we have several sisterhood events where we get to spend time hanging out together. Afternoons at the apple orchard- this has been one of our sisters' annual favorites. 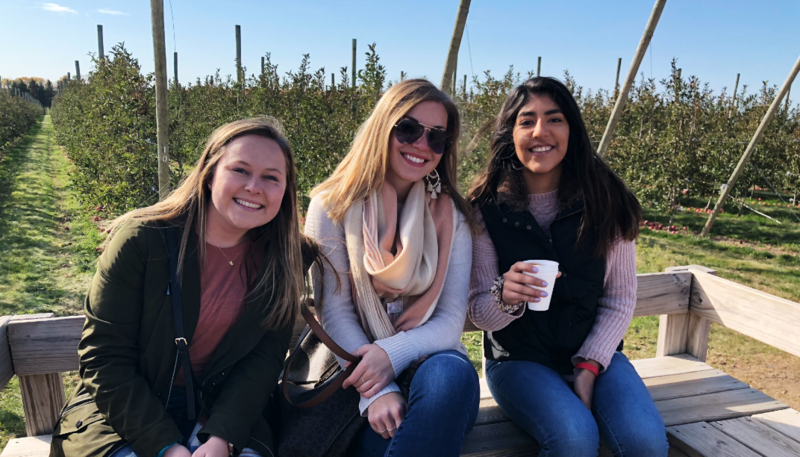 We carpool ​to Ferguson's Orchards to pick some apples and explore the orchard! Game Nights- Our sisters have fun getting competitive especially playing charades and other games. These nights are always filled with laughter and are a great break from academic stress. Cocoa & Crafts- Sipping on hot chocolate while crafting with our sisters is one of our favorite ways to relax! Afternoons playing lazer tag- This is always an afternoon full of smiles and laughter at Action City. Movie Nights- Cuddled up in blankets with our sisters and snacks is a frequent sisterhood we have at the Sigma house during the semester. Nights Spent Around the Bonfire- Making s'mores and story-telling around the fire is always a night full of making memories together. 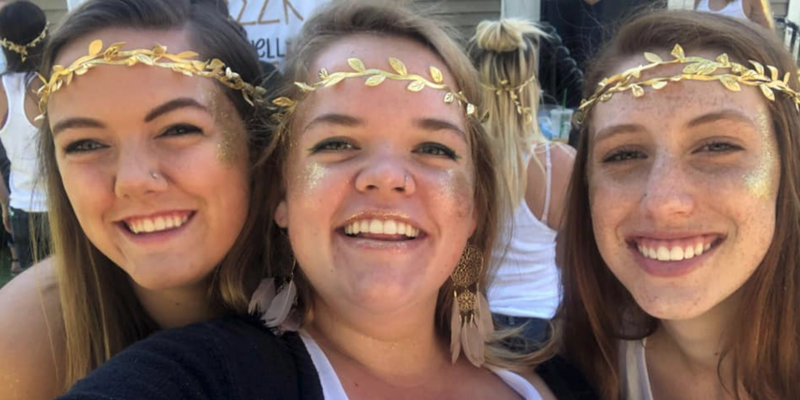 Spring Sisterhood Retreat- This weekend every March is one of many of our sisters' favorite event. We spend lots of quality time together, and makes for an unforgettable weekend every spring. 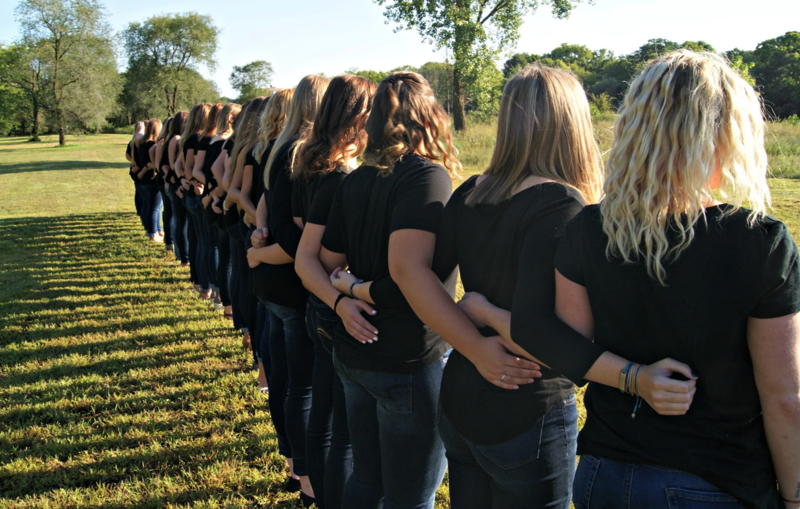 These are just a few of our sisterhoods. We're always coming up with new, fun activities to do together! 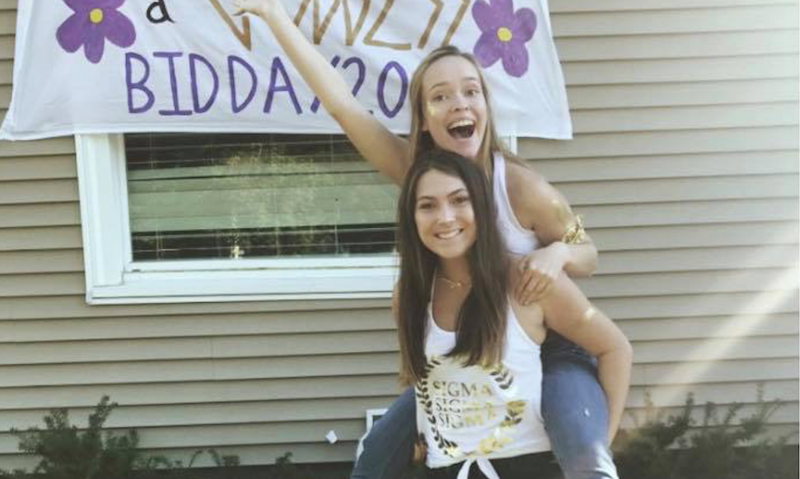 Our strong sense of sisterhood has always been one of our favorite parts of being a member of Tri Sigma.